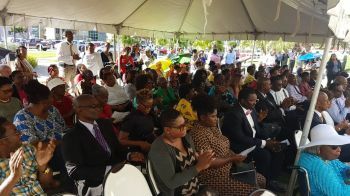 The size of the congregation did not deter those in attendance, who converged on the lawns of the Central Administration Complex in the heart of Road Town, Tortola, with hands raise in worship for the two-hours observance activities—marking the one year anniversary of Hurricane Irma and its terror. 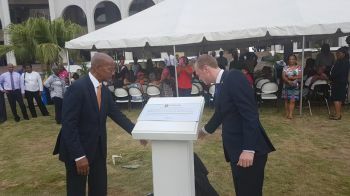 The occasion was marked with messages of reflection, hope and progress by some of the Territory’s Leaders including Premier and Minister of Finance, Dr the Honourable D. Orlando Smith (AL), His Excellency the Governor Augustus J.U Jaspert aka “Gus”, Deputy Governor David D. Archer and Leader of the Opposition Honourable Andrew A. Fahie (R1). Premier Smith and Governor Jaspert also unveiled a commemorative plaque to mark the occasion. This is not about expats. This is about the Virgin Islands. If you are expat and not care about the Virgin Islands you have options. Real options. Yes there is complacency here in the Virgin Islands. Yes there is ignorance, greed, slothfulness and the like, here in the Virgin Islands. Hell its all over the world but im talking about the Virgin Islands. If you come here to help me you are wasting your time, but if your freedom is bind up with mine then we can all work together. Be mindful of the words that are coming out of your mouth. @Easy: REALLY!!!. Don't know what you sipping, sniffing or sapping. That won't do it. Governor the truth is people did not show up because they are fed up with this NDP government. 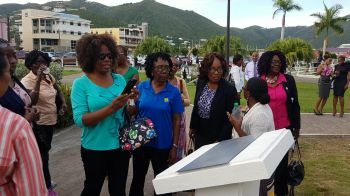 If you would only bring a few of them to justice then I believe you will see more of a sense of togetherness in the BVI.